If you are still mourning the loss of the famous 'Whites' then I think we have found the solution for you. Enter the Verdon. Ever since I first picked a pair of these up to test a few weeks back I have been incredibly impressed by their all round performance. It took one route to 'bed' them in but to be honest they really do have that 'out-of-the-box comfort' feel. There were a lot of upset people in the UK when the White Anazasi were discontinued last year. People all over were resorting to stock piling as many pairs as they could, while others accepted the situation and started the transition to the new style Pinks. 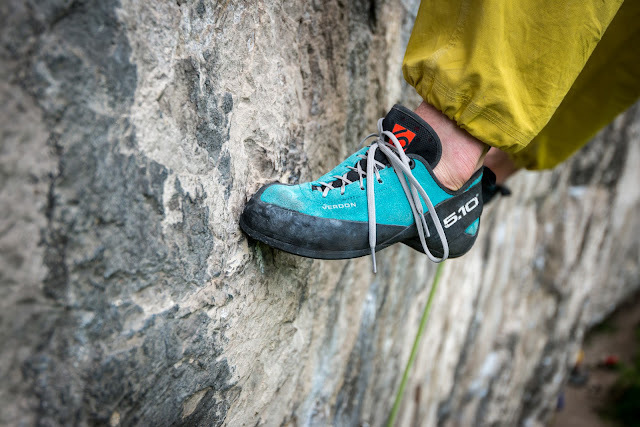 This asymmetric climbing shoe is designed for superior edging with out-of-the-box comfort. We accomplish this by constructing the shoe in a new way. A molded thermoplastic midsole fills in the dead space of the natural curves of the foot for a more precise fit. They lined the leather upper with Clarino, a premium synthetic material that doesn't pill and then we perforated the tongue to enhance breathability. Good for precision edging, steep pocketed faces. 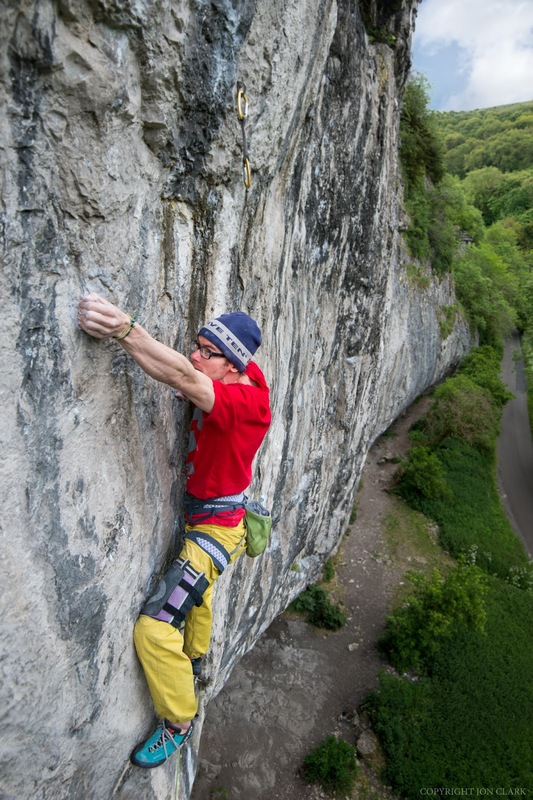 Talking to a few of the dedicated limestone fanatics throughout the UK, many felt that the new pink lacked that extra bit of stiffness that enables you to really stand on up on those super small, micro edges. So after being informed that the Verdon had been built with firm stiffness throughout the mid-sole, in mind, I was super keen to put them to the test. And at what better place but the home of tiny edges. Raven Tor. The Verdon excels on microscopic, credit card thin edges. What particularly intrigued me even more was the ever so slight down turn nature of the shoe. This coupled with the so called 'thermoplastic midsole' could have a lot of potential, particularly for the project I was working on and I could not wait to give them a run out. They certainly lived up to their billing. My project suddenly felt remarkably easier and made Mecca feel the easiest it ever has. I was quite amazed at just how much of a difference they made and straight out the box too. Usually with brand new shoes you'll find your feet popping off every verse end as the rubber molds around your feet and becomes supple, but not so with these. The solid fit, stiffness and sensitivity allow you to really push and use a serious amount of power in your feet to propel you upwards. While their superior edging capabilities, that really do excel on microscopic holds, mean that more of your body weight is taken off your arms and transferred onto your feet, meaning you grip less, thus you are less pumped. The snug and tight fit of the heel is another big positive about the shoe. 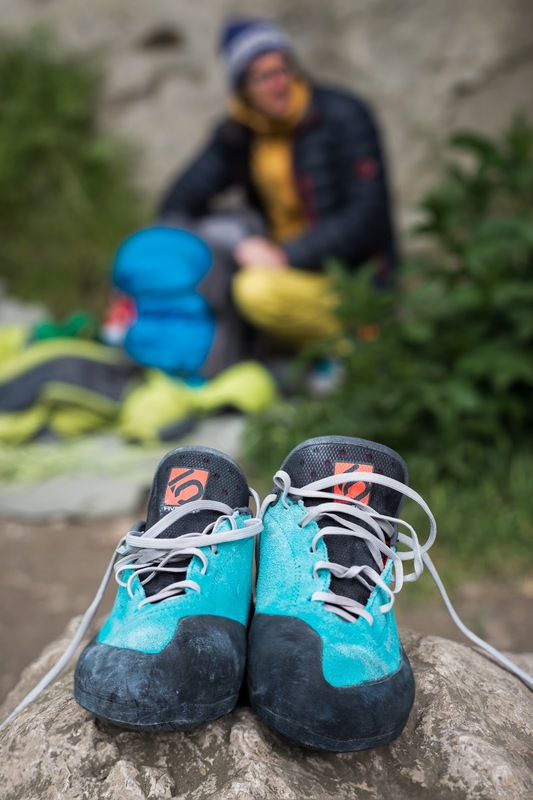 Dead space is totally eliminated so you can really lock them into those heel hooks, know that they are going to stay put and not slip out due to excess bagginess. Obviously a number of factors allowed me to climb Kabaah in the end, but the Verdon played a massive part and they without a doubt made a significant difference to how the route felt. I was psyched to hear that Pete Whittaker also wore them for his ascent of the route too a few days prior. I really think these new kicks are something a bit special and firmly believe they are lining up to be a big hit, so keep your eyes out for them hitting the shelves this coming autumn. Hopefully just in time for the drop in temps and providing you with the perfect tool for sending your projects. They certainly helped me send mine! what about the volume and shape at the front of the shoe? how does it compare to new pinks, whites, and quantums? and what is that eva layer supposed to do? Sorry I should have mentioned that they do have a wider toe profile/box than the Pinks and Whites. The EVA layer is there to offer better support and stiffness throughout the midsole. I found that the Pinks would become quite 'bendy' and supple after a relative short while throughout this section of the shoe. However this hasn't been a problem yet with the Verdon. Trust thats useful and answers your question. So does the sizing match the blancos? Because they are an entirely new shoe it is hard to compare the sizing. However if it helps, I have gone down maybe a full size from my old Whites. It could and more than likely will be different for everyone though. Best way is to try a pair on and decide for yourself. Thanks for the review, Ethan. How have the shoes' stiffness held up over time. I found that the white would lose their shape in the forefoot after climbing on them for a while. Have you noticed the same thing with the Verdons? How has the stretch been?